Did you know that if you check out Instagram on the Google Play store right now, you’ll find this picture of the AKG K550 headphones on the second screenshot? That should probably tell you a lot about the popularity of this particular piece of audio equipment. One that we would say is rightly so, given the audio quality we’ve experienced while giving it a try. In a nutshell, the AKG K550 (by Harman Kardon) is a high quality Closed-Back Reference Class headphone. While those terms may be confusing, its suffice to say that a reference class headphone is designed for use in professional environments or by audio enthusiasts that want to enjoy studio-quality sound. This particular one delivers that in spades – which may or may not be obvious given that it has a huge 12-28,000Hz frequency range. With a pricetag of PHP 14,990, its cheap enough to compete with “designer” brands – and we all know they’re not exactly the best in audio quality, right? So if you’re looking out for a decent pair of high quality headphones, be sure to check out our unboxing video below. As you may (or may not?) 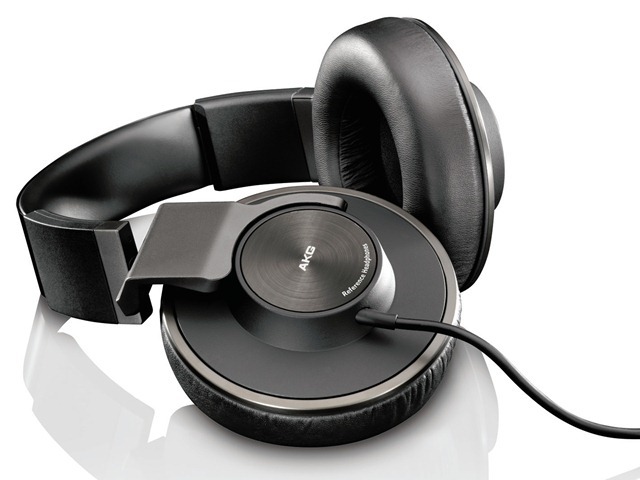 have seen from the video above, the AKG K550 is an over-ear large headphone design with audio quality in mind. There’s a large earcup that should fit over any ear and provides great isolation. The body is built mostly with metal and feels rather durable, while the insides are covered in a soft material so prolonged use won’t cause any discomfort. While the design isn’t as gaudy as popular designer brands, (like Beats) it makes up for it with the sense of quality and a subdued classic design. Though, it only folds flat for storage, and not the popular collapsible designs that are popular in portable consumer headphones. The AKG K550 should be available in a lot of audio stores nationwide right now for the price of about PHP 15k. If you’re interested, audition one out to see if its something you’d like.